It starts with a reason; it always does. Some reasons are bigger than others and some reasons have a meaning only known to us. In the world of sports, for example, every athlete getting into shape has a reason to exercise—to gain speed, strengthen target muscles, surpass the competition. Leadership can be thought of the same way. If you are serious about wanting to get into leadership shape, then you will need to exercise. This book will give your leadership a workout, retrain your leadership muscles, and improve your leadership cardio. Developing the eight leadership competencies in this book will get you into shape as a leader, and when you commit to the exercises at the end of each chapter, you will not only get into leadership shape, you will stay there. Getting Into Leadership Shape™ focuses on eight character competencies required to be a good leader, because ultimately, a leader has not earned the right to lead others unless he or she has learned to manage his or her own character. 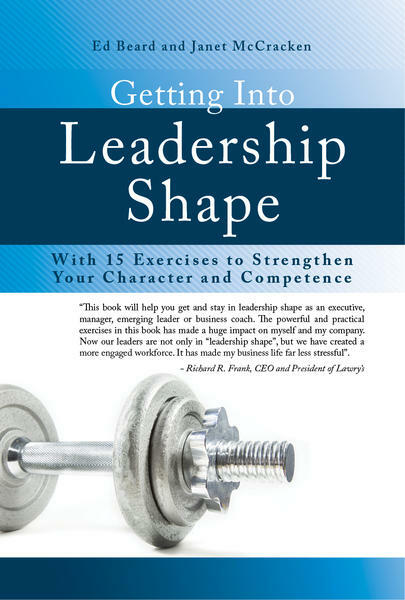 Included in the book are 15 exercises and a Leadership Shape Self-Assessment to help you determine your natural strengths and weaknesses.